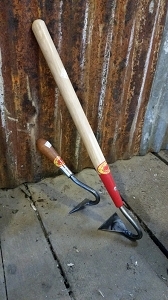 Sometimes, a finger hoe is too narrow and a 3-tine cultivator is too wide. It's not hard to find one, three and four tine cultivators. Twos are rare. 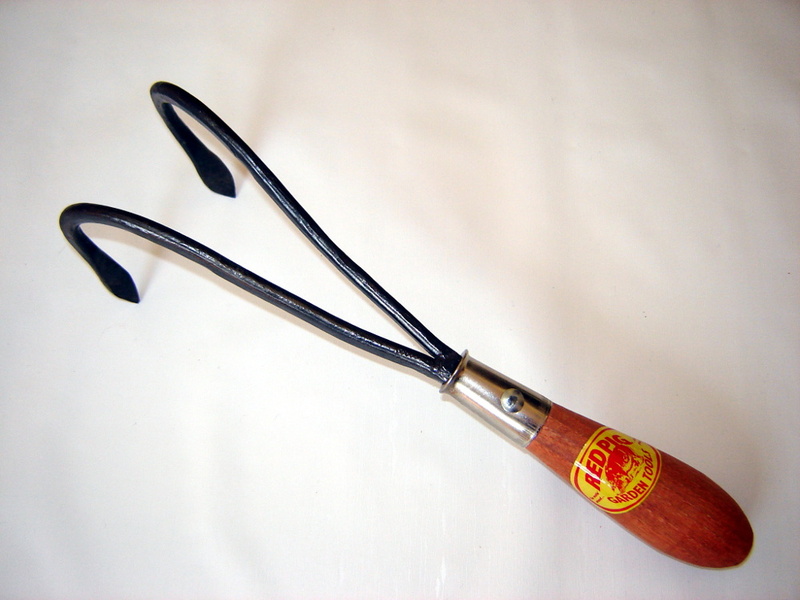 But a two tine cultivator can be useful. For tilling on both sides of a row of seedlings in one pass, for example. Or for working among plants spaced at moderate intervals, such as bedding plants or tall growing herbs and flowering perennials. So, we forge a light to moderate duty two-tine hand cultivator. It's not designed to work deep, like a finger hoe, or to cover territory quickly, like a three, four or five tine tool. But what it does, it does well.